Satisfy New York’s residency requirements. The New York Supreme Court cannot grant your divorce unless it decides that you and your husband are New York residents. Residency requirements state that you or your spouse must have lived continuously in New York for at least two years before filing for divorce. Residency is also established if you or your spouse have lived in New York for at least one year and your marriage ceremony was performed in New York, or you and your spouse lived in New York as a married couple. 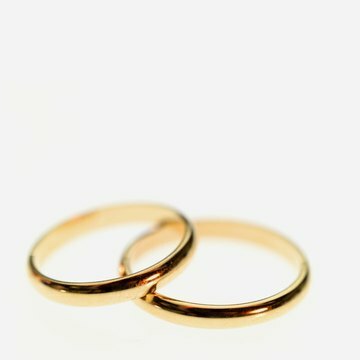 If you or your spouse have lived in New York for at least one year and your grounds for divorce happened in New York, residency is established. Finally, if both you and your spouse have lived in New York, for any amount of time, and the grounds for divorce happened in New York, you have residency. Establish the grounds for divorce. The court will grant your request for divorce over your spouse’s objection, if you prove that your spouse was at fault. In New York, cruel and inhuman treatment, abandonment, imprisonment or adultery are at fault grounds for divorce. You have been abandoned if your spouse left without your consent, and has been gone for one or more years. You have have imprisonment grounds for divorce if your spouse has been in prison for three or more years since you were married. File your paperwork. Your formal request for divorce is called a “Complaint” and must be filed in the New York Supreme Court for the county where you or your spouse live, if living separately. Your complaint will state your grounds for divorce, as well as other requests, such as child support, child custody and property division. You will also file a summons, which is a legal document that gives your husband notice that you have filed for divorce. You can choose to have the summons alone delivered to your spouse and they will have twenty days to respond, through a document called a Notice of Appearance. After the "notice of appearance" is returned, your spouse can ask for a copy of your complaint. You can also choose to deliver both the complaint and summons on your spouse. In that case, your spouse must respond to the allegations in your complaint within twenty days in a document called an "answer." Provide property information to the court. New York is an equitable distribution state, which means that the judge will divide you and your husband’s marital property in a way the judge considers to be fair, as opposed to states that have community property laws in which the property is usually divided 50 percent to one spouse and 50 percent to another. The judge will consider factors such as you and your husband’s income at the beginning and end of your marriage; what property you each had at the beginning and end of the marriage; the number of years you were married; your ages, and your health. Receive your divorce decree. The document that officially ends your marriage is called a divorce decree and is issued by the New York Supreme Court at the end of your divorce case.